I love Fall!! (As I have mentioned in almost every one of my recent posts.) One of my favorite things about the season is SWEATER WEATHER! I’m a big fan of sweaters, and layering! 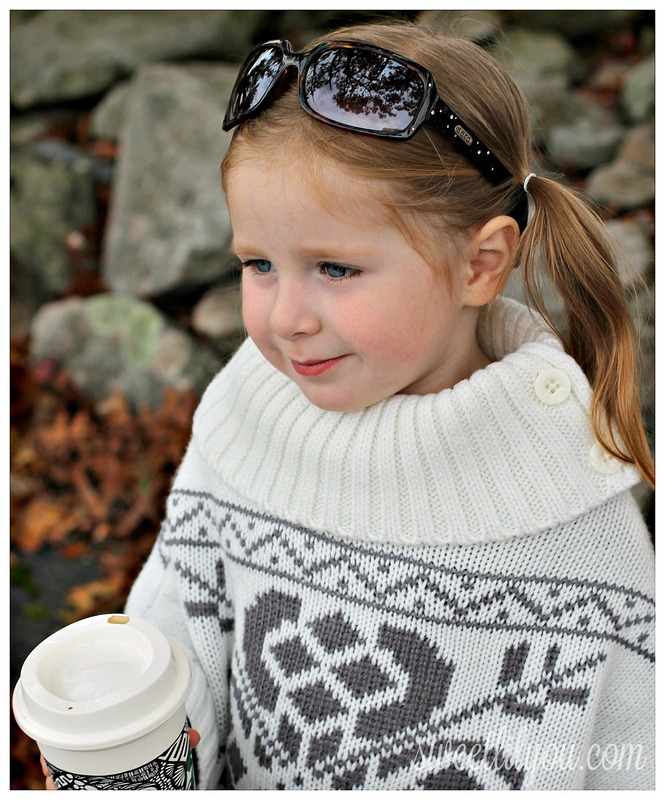 Fortunately, my girl loves sweaters too! One of the big trends this season is the poncho. They are everywhere! Now, I’ll be honest, I’ve never been a big poncho fan. Being sort of short, and a little bit wide, I never thought they looked good one me. But you know who they DO look good on? 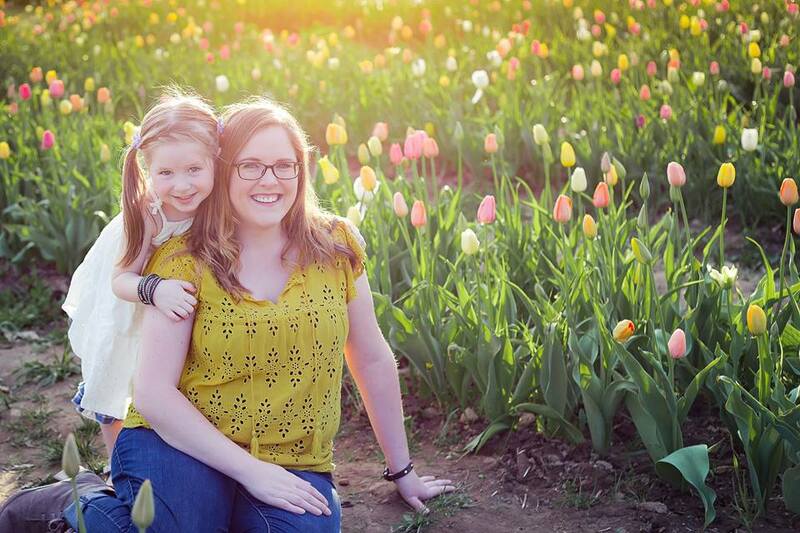 My toddler! 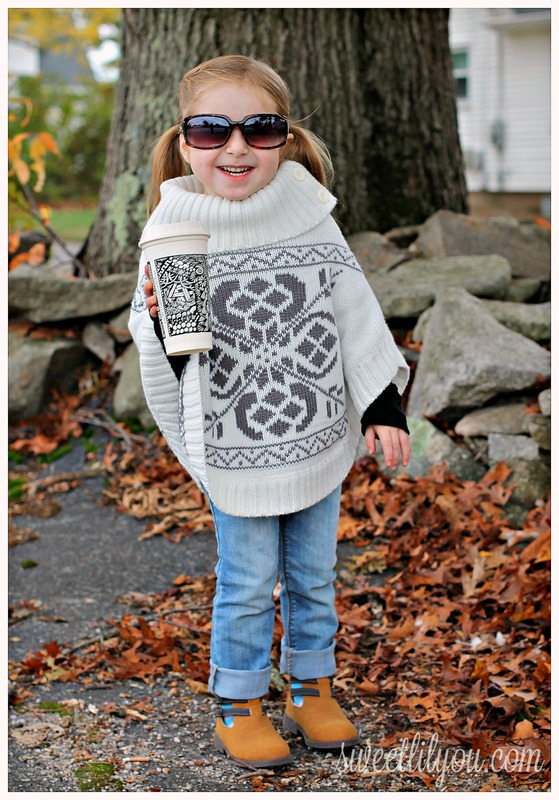 Avery can totally rock the poncho!! 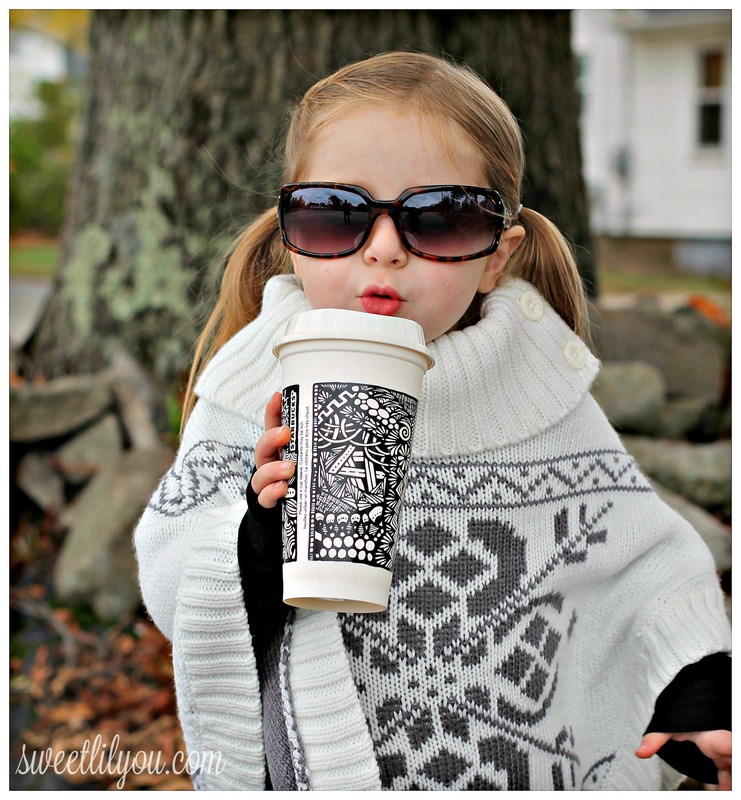 And what toddler doesn’t want to go out in public, basically wrapped up in a cozy blanket? 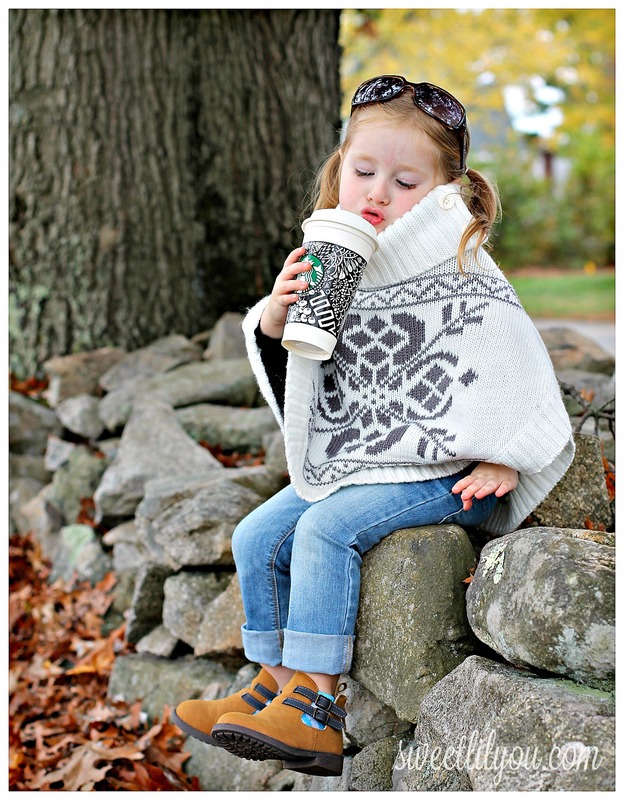 Nothing says “Fall” more than wearing a cozy sweater and drinking Starbucks surrounded by fallen leaves haha! There are so many different styles of ponchos and capes and they are really versatile. You can dress them up, worn with a skirt and cute tights or keep it casual, paired with jeans or leggings. You can wear flats, cute boots, or Uggs. And of course, you can accessorize (I love the belted cape trend!) Ponchos come in all different fabrics and patterns, from Aztec designs (like those on the traditional South American ponchos) to jersey knit “athletic” inspired styles, fair-isle is big and of course so is PLAID (another HUGE trend this season) I found a few really great ponchos/capes/caplets for girls that are both adorable and affordable! Which one is your favorite? 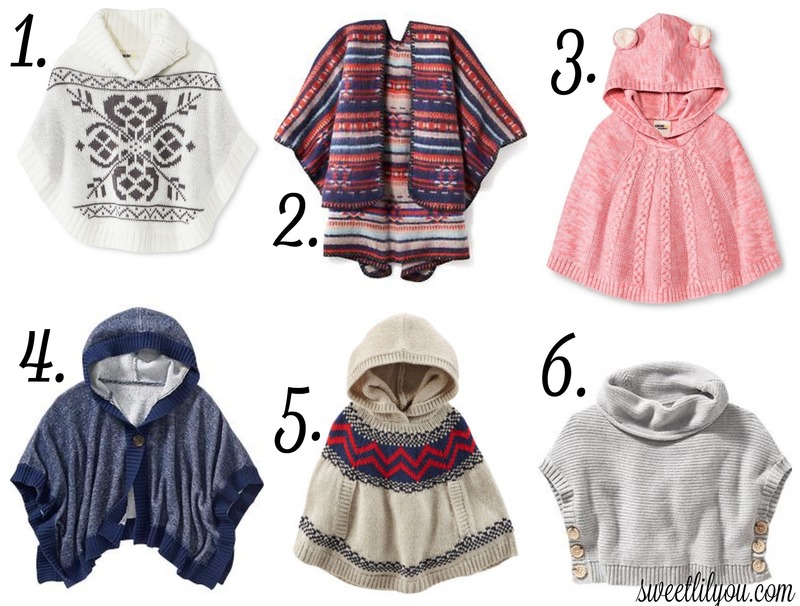 I am in love with the Fair Isle Poncho (#5) and wish the Hooded Kimono-Sleeve Poncho came in my size! Nordstrom mix and match wardrobe for fall by How Was Your Day? 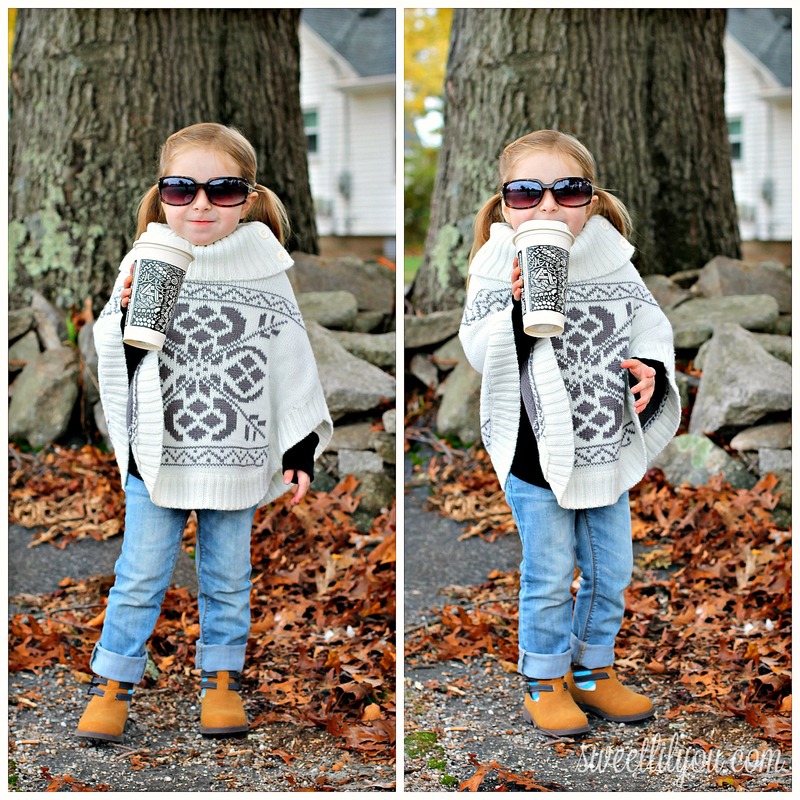 This entry was posted in Microfashion Monday, style and tagged clothing, fall, fashion, microfashion monday, style. ← All Day Breakfast At McDonalds – Giveaway! So cute! We just got Millie the silver one from Old Navy! So cute!! Oh my gosh. She is just the cutest thing ever! She looks adorable in that poncho. ***LOVE this*** What a cute li’l girl!